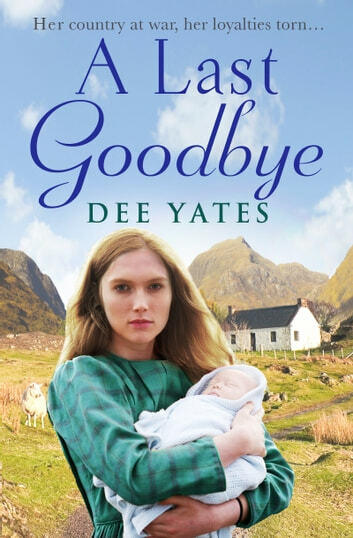 A Last Goodbye by Dee Yates sweeps you back to the beginning of World War I in a sheep farm in Scotland. Duncan Simpson has raised his daughter, Ellen since her mother died giving birth to her. Duncan is getting along in years, so Tom Fairclough has been hired to assist the shepherd. Ellen is only fifteen when Tom arrives, and she has an openness about her along with a direct manner which appeals to him. Over time they grow closer until an event forces them to marry. This was not the person Tom wished to marry and it is soon apparent in their marriage. Tom’s behavior changes making Ellen grateful when he enlists in the war. POW’s are brought to the area to work on the new rail line and prepare the valley for the new reservoir. Ellen is asked to care for a sick POW, Josef Kessler. Over the long winter, Ellen gets to know Josef and his kind heart. Find out how Ellen’s story plays out in A Last Goodbye. A Last Goodbye contains good writing and it has a gentle pace. We are taken to a remote sheep farm in Scotland where Ellen has grown up isolated. She is raised by her father after her mother died in childbirth. The peacefulness of the area is disturbed by war and a need for water. Their area is the perfect location for the new reservoir. A Last Goodbye has good characters in Ellen and her father, Duncan. Tom is one of those characters that you will dislike from the very beginning (you love to hate type). I appreciated the addition of Tom’s childhood friend, Clara. She is in college working to become a doctor which was very rare at this time. You can feel the characters emotions pouring out of the pages (love, rage, jealousy, joy, fear). Tom’s jealousy and anger come clearly through along with Ellen’s thoughtfulness, caring and directness. I thought the author did an admirable job at depicting the horrors Tom experienced during the war. The trenches, the bodies, the noise, the injuries and so much more. The story is told mostly from Ellen and Tom’s point-of-views. The ending will have you yearning for more. A Last Goodbye is a poignant story that will have reading late into the night. I loved the book, I couldn't put the down. The author rights about the early years in country England. I would recomend the book to readers who like this style of books. I found this book okay - but predictable. While the author created clear descriptions of the landscape, characters, etc. I found the outcome not surprising.